AOC expands its AGON premium gaming monitor series with two new curved models: the 31.5″ AG322QCX with QHD resolution and the 27″ Full HD display AG272FCX. Both come with an extremely small curvature radius of 1800 for an added level of immersion. Thanks to almost invisible bezels on the top and sides of the monitors, the “3-sides frameless” design lets players focus on the gaming action even more.. A refresh rate of 144 Hz and AMD FreeSync technology provide a super-smooth gaming experience with no stuttering, tearing or motion blur. In addition, the two models also boast all of the premium features of other curved displays from the AGON line,, including a variety of gaming modes and settings (adjustable with the included QuickSwitch keypad), a headset holder, a handle, ergonomic adjustment options and customisable LED lights. The two new 16:9 models expand the AOC AGON curved monitor lineup with two new sizes: The AOC AGON AG322QCX boasts a 31.5″ (80 cm) VA panel with a QHD resolution of 2560 x 1440 pixels for razor sharp game graphics. The AG272FCX, on the other hand, uses a more compact 27″ (68.6 cm) VA display with a Full HD resolution of 1920 x 1080 pixels. With a radius of just 1800 mm, the two monitors offer the strongest curvature of any AGON model yet. This allows for a highly immersive gaming experience with increased perception of depth and reduced picture distortion. In order to let players focus on the action even more, the ultra-slim bezels on the top, left and right sides are almost invisible. Both the AG322QCX and the AG272FCX boast a high refresh rate of 144 Hz, which eliminates motion blur and lets game worlds come to life in super-smooth and sharp graphics at any time, even in fast-paced scenes. For an added level of smoothness and responsiveness, the two monitors also offer AMD FreeSync support, which reduces stuttering, tearing and input lag. Gamers looking for an even more responsive experience will benefit from the AOC Low Input Lag Mode which bypasses most of the monitor’s internal video processing. This way, players can see their control inputs reflected on the screen immediately, which is advantageous in competitive action games. The AOC Shadow Control feature gives an additional advantage in games with very dark sections: it lightens overly dark areas of the image and darkens bright parts without affecting the rest of the screen. Game modes and other settings can be conveniently toggled with the included AOC QuickSwitch keypad. Instead of navigating through menus with the standard buttons on the monitor, players can adjust the display settings via the controller. The perfect mode for each specific game played can be set with the click of one button thanks to FPS, Racing, RTS and customisable game mode presets. To increase the comfort of long gaming hours, the two new displays protect players’ eyes, using the AOC Flicker-Free technology against eye fatigue and the AOC Low Blue Light Mode against potential long-term effects from harmful blue light. For a healthy posture while playing, the monitor stand AOC Ergo Base offers height, tilt and swivel adjustment options. Moreover, a carrying handle empowers gamers to easily transport their AGON display between different gaming locations, and a retractable headset holder lets them safely deposit their headset during breaks. A variety of connectors such as HDMI, DisplayPort, VGA and USB 3.0 also makes the AG322QCX and AG272FCX compatible with a broad range of input sources and devices. In addition to its minimalistic “3-sides frameless” design, the two new AGON models come with customisable LED lights on their back and lower bezel. These can be set to three different colours (red, green, blue) and three different brightness levels, in order to adapt the monitor’s look to players’ and esports teams’ individual taste and preferences. The AOC AGON AG322QCX and AOC AGON AG272FCX will be available in May 2017. The MSRP is £519 and £389 respectively. AOC is one of the global top brands in the display market. High quality, first-rate service, attractive designs as well as environmentally friendly, ergonomic and innovative products at competitive prices are the reasons why more and more consumers, corporate decision-makers and distribution partners trust in AOC. AOC offers displays which cater to every type of user, be it for professional, home, entertainment or gaming use. AOC is a subsidiary of TPV Technology Limited, the world’s largest LCD manufacturer. Check out the new 3D monitor ‘D2757Ph’ from AOC which recently entered the European market as well. Adopting an IPS panel, this 27-inch LED-backlight monitor provides 1920 x 1080 Full HD resolution, 1000:1 contrast ratio (20,000,000:1 DCR), 250 cd/m2 brightness, 5ms response time and 178/178 degree viewing angles, and features 1x D-Sub and 2x HDMI connectors. The D2757Ph is priced at 279 Euro / about $356 (a pair of 3D glasses & 3D clip-on glasses included). Love AOC monitors, have 15 of them (g2460pf models) in the cybercafe I'm managing, and planning for even more. As long as I can see a frame, it's not "frameless". This has to be one of the dumbest marketing gimmicks in a long time. About time! 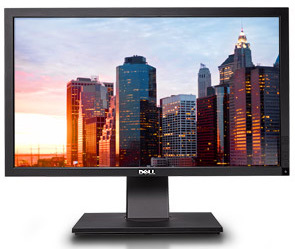 This is the very first 32" class 1440p non-TN monitor that is capable out of the box with 144hz. Definately going to sell my asus mg279q's and get 3 of these instead! Look very nice. I wish they were 21:9 though. I won't buy something that isn't ultrawide again. I also have to concur with calling this "frameless" as being silly. There is a bezel. It's a thin bezel and very nice looking, but don't call it frameless. Lose the curve and add Gsync and we'll talk. I don't care if they have to jack up the price for license fee. According to AOC my monitor is also frameless. Lose the curve and add FreeSync and we'll talk. I don't care if they have to jack up the price for license fee.